A good hair day not only affects how we look but also impacts on how we feel and a new study, led by the University of Stirling, highlights for the first time the benefits appearance-related support like hairdressing has in helping people living with dementia. The Hair and Care Project, research conducted by Senior Lecturer in Dementia Studies Richard Ward, University of Stirling, and Sarah Campbell and Professor John Keady, University of Manchester, focuses on the role of hair care in dementia. 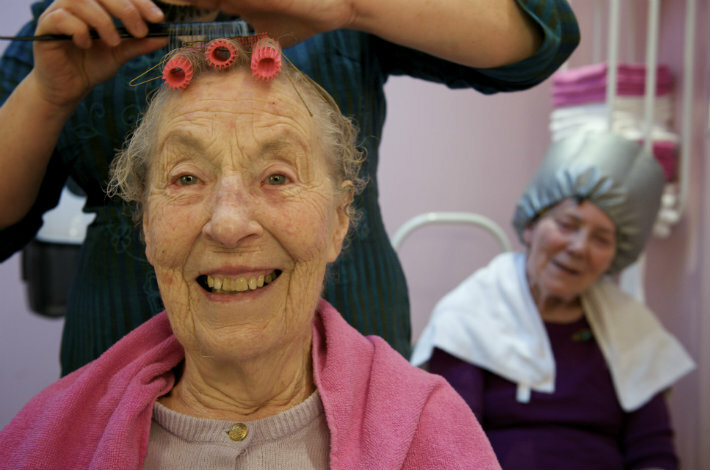 The research found that hairdressing and hair care are integral to the everyday support that people with dementia receive as part of their care. Researchers filmed and observed people with dementia over a period of 10 months, in 8 different care-based hair salons, as well as accompanying hairdressers as they visited people at home. Their research found that a salon visit could provide sensory cues linked to appearance (scents and perfume) which could also re-ignite memories for people living with dementia of people and places. Hairdressers often have close relationships with dementia clients and acted as ‘keepers of stories’ and reminded them of forgotten details and offered emotional support. The research found that there is scope for greater integration of hairdressing and other forms of appearance-related support into the broader therapeutic objectives of dementia care. “Hairdressing and hair care are integral to the everyday support that people with dementia receive as part of their care. Yet, until now this area has been overlooked by research and policy in the UK and internationally. “The salon is a very natural setting for reminiscing but also a place where people share insights into self-image, and voice concerns about their lives. “The overarching message our research highlighted was that we need to re-think our understanding of appearance and the part it plays in the lives of people with dementia. Media enquiries to Rachel MacBeath, Communications Officer on 01786 467 760 or r.a.macbeath@stir.ac.uk.